If you love Pride and Prejudice then you will really enjoy this one. The characters are great with Liz all warm and fuzzy and all about family while Vince is all about family but comes across as cold and rigid. Turns out Vince has more heart than Liz first though and it seems that he may be losing it to her. This book is nicely written with a nice steady pace to the story. I definitely recommend this one. This is a fun contemporary story built on Jane Austen’s novels. The premise is that the modern version of Austen’s heroines are rooming together in a mansion-turned-apartment house. I liked the idea of the heroines of Pride and Prejudice, Emma, and Persuasion all being friends. In this book, there is a Darcy who is proud and Liz who immediately feels prejudiced against him. They have competing antiques businesses in a small Virginia town. It’s not clear why there would be enough business for two such dealers as well as make the Darcy business extremely successful. But just go with it. 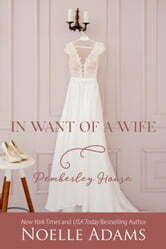 There are enough touches of Austen in the book to entertain any fan of Pride and Prejudice, but I also liked that there were also somethings that were totally new so that the book wasn’t a simple retelling. And I was glad not to encounter Liz’s mother since she was always so annoying in the original book. There is one stupidly obnoxious younger sister, but one was enough. Instead of being arrogantly superior as Darcy is in the original, this Darcy is really just awkwardly shy which seems to come off as rudeness to others. I liked getting some insight into what he was thinking instead of just seeing him through the heroine’s eyes. This was enjoyable to read. You don’t need to be a fan of Jane Austen to enjoy it, but it will be fun for any Austen lover. I voluntarily reviewed an advanced reader copy of this book that I received from Netgalley; however, the opinions are my own and I did not receive any compensation for my review. What an amazing read! I am a huge fan of Noelle’s work and this book did not disappoint. Vince might be a bit shy and not know how to express himself or his feelings and Liz is the complete opposite of Vince. She is not afraid to tell you how it is or let you know what she thinks of you. I think that’s why the make such a great couple. They balance each other out which makes them the perfect couple. This is a must read!!! 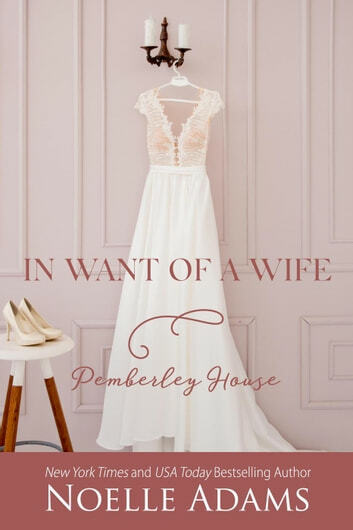 Can’t wait until the next installment of the Pemberley House series. ***Received this ARC by NetGalley as an exchange for an honest review. This Austen-esque book starts off a new series and one that seems to hold great promise after reading book one. It introduces us to the main characters of the story, the 3 very different sisters, Liz living at Pemberley House which is perfectly dreamy. Her two best friends, the family business and the men who orbit the story. This is Liz's story, she works for her families antique business and her job is to procure antiques and other items of value to sell in her families struggling business. They were the only shop in town until another family moved in and opened an antique store as well. Vince is our main male character in this one, called home to help his mother's antique business after the death of his father. He's not to happy about it and can be surly. That's only step beyond grumpy. Maybe two or three steps. Vince and Liz meet by accident while arriving very early at an estate sale, Vince is there first and she doesn't know who he is, trying to make polite conversation, he blows Liz off. That sets them off on what's the be a funny at times and thought provoking friendship beyond that. And now since Vince is living next door to Liz and her sister with his friend Danny, how terribly convenient for them both. This is definitely a slow burn and the pace and dialogue of this book is a change from Noelle's usual stories. It at times felt a little too formal for me, riding really close the the edge of Austen's books. Just a tad of an adjustment when the shifts in dialogue took place. Lots of well placed drama in the story, some serious angst going on in the home stretch and I really enjoyed all the characters in this book. Well done and I look forward to the next book!